Set of four disks. No 1 has not been found, No 3 was found in the laboratory of Zografeio Highschool. They were used for obtaining some spectacular and unusual optical illusions when used with CENCO No 74350 Rotator and a stroboscopic device such as No 74670 Cenco Stroboscope. They demonstrate clearly, for example, why wheels in the movies appear to be turning backwards, and how the apparently continuous motion results from a series of fixed images. 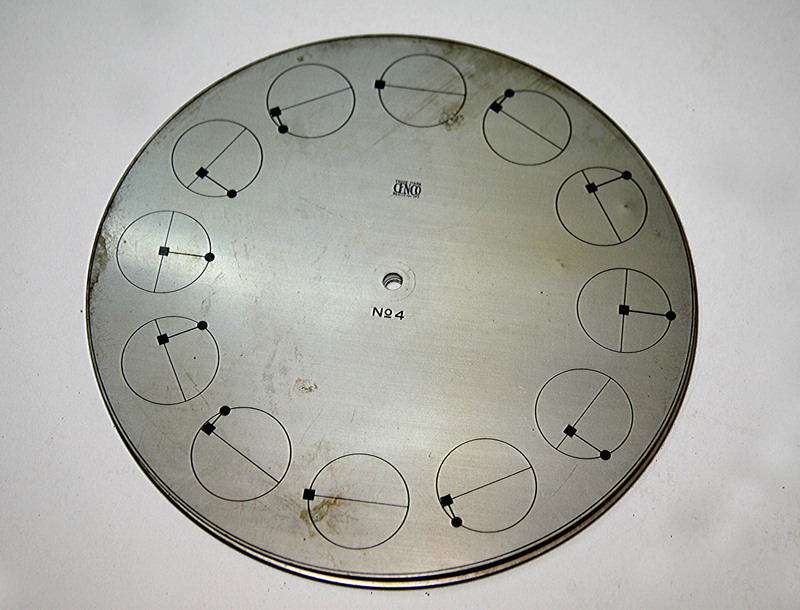 The set consists of four metal disks, each 23,5cm in diameter, designed to fit the spindle of standard motors When properly rotated and adjusted, the following effects are produced: (1) a swinging pendulum, (2 and 3) simple method of calculation of the speed of the stroboscopic interrupter, (4) series of circles and spots which will appear to execute a simple harmonic motion and a phase relation. 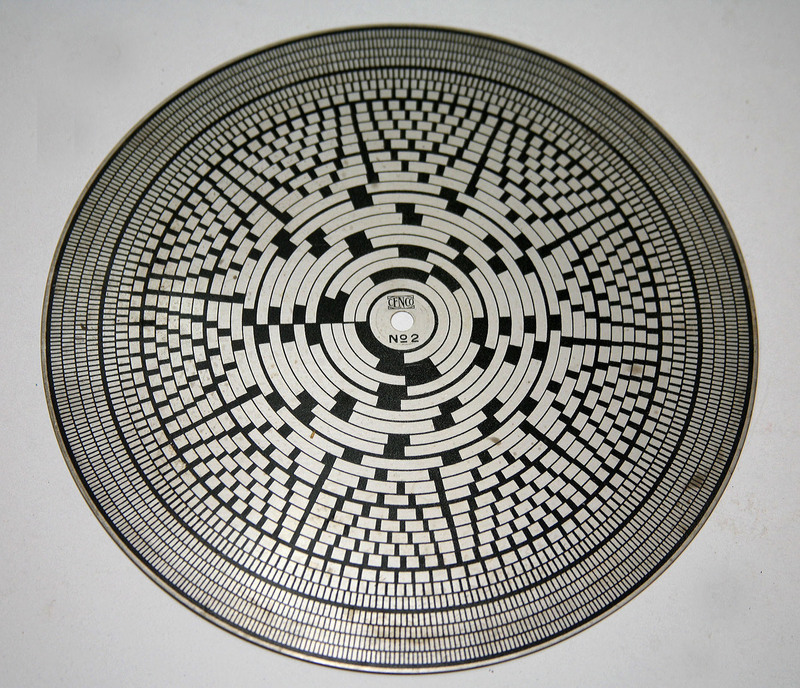 Figures are lithographed on the metal disks. Stroboscopic disk, Νο 5. Perhaps, this disk was added in the previous set later than 1941. 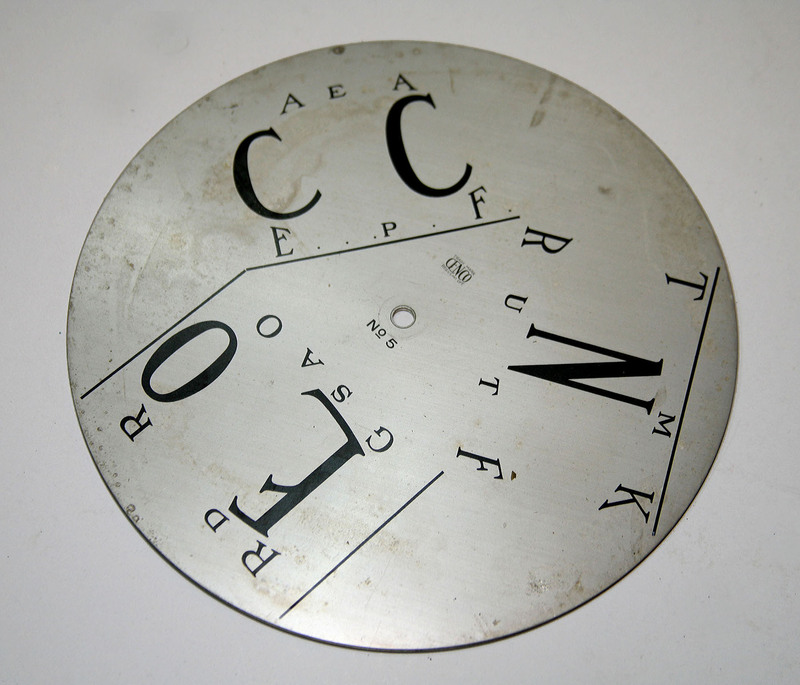 We suppose that the letters can form words as disc rotates.